Jericho has become the 100th winner of the season for Peter and Paul Snowden, earning himself a Queensland campaign with his first victory. The 100th winner of the season for Peter and Paul Snowden will be given a chance to be remembered for more than being a milestone horse for the training partnership. In a genuine show of faith in the growing maturity of Jericho, the two-year-old will join the Snowdens’ Brisbane team for the winter carnival after bringing up the stable’s century at Warwick Farm on Wednesday 4 May. Well tried to start the $1.75 favourite, Jericho enjoyed the run of the race before getting the better of Virgilio ($26) to win by long head. It wasn’t a convincing margin, but it was enough for Paul Snowden to declare the colt a runner in the BTC Sires’ Produce Stakes at Doomben on May 28. “We’ll give him every opportunity to get up there. It’s certainly the next step from here and he’s going up there in good order,” Snowden said. The Snowden stable went into the midweek meeting on 98 winners and Faith’s Encore edged the yard closer to triple figures with her win in the first race – the All Too Hard Handicap. “It’s a big buzz for the stable to get 100 winners,” Snowden said. 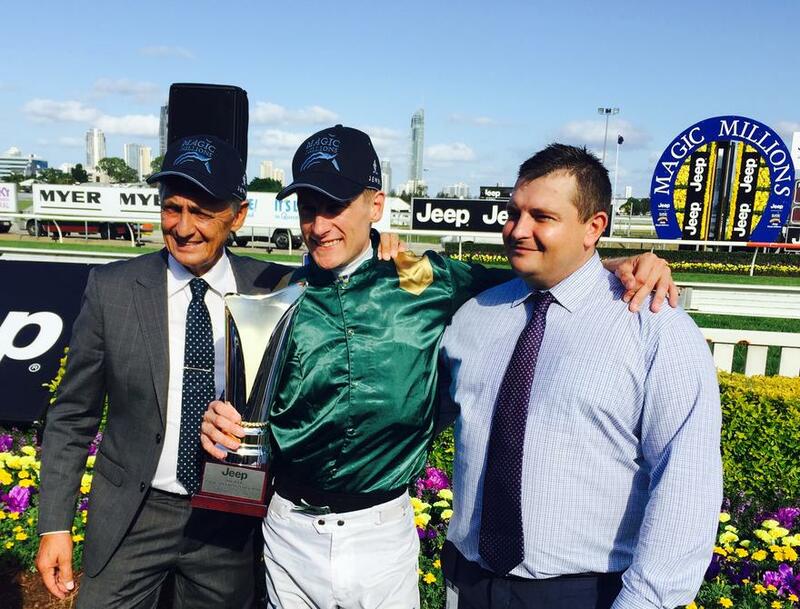 The Snowdens have now trained the winners of 14 two-year-old races this season, highlighted by Capitalist’s Golden Slipper and Magic Millions triumphs.